Click here to learn about our injection molded products. When peak performance demands five star protection specify CELL-FLEX IMPAX® foam. 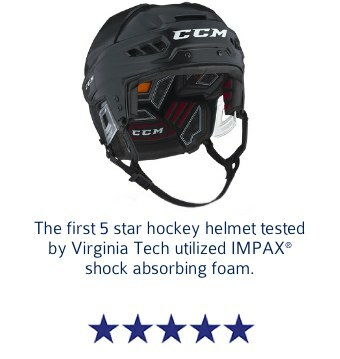 Engineer with CELLFLEX® IMPAX®—the foam in the #1 rated hockey helmet, as tested by Virginia Tech. 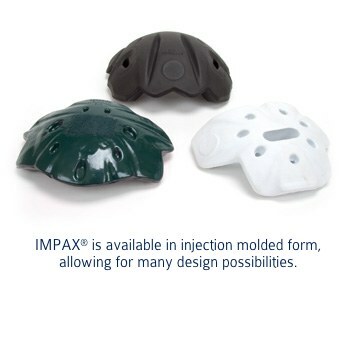 * IMPAX shock absorbing foam technology has been utilized in protective equipment in the sporting goods industry for over twenty years. 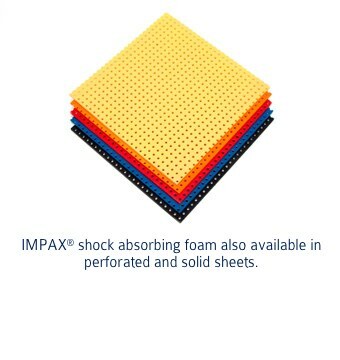 IMPAX sheet foam material is available in a wide variety of densities, thicknesses, and colors. Imagine the protection and flexbility that it can provide in your gear for other parts of the body that experience high impact like feet, knees, ankles, wrists…you name it. Learn more about this incredible high performing energy management foam and how it can work for you. Contact our development team today. Technical specifications are available upon request. **User acknowledges that it is the sole responsibility of the user to determine to its satisfaction the suitability of Der-Tex products for user’s particular purpose. Der-Tex makes no warranties either express or implied concerning merchantability or fitness for a particular purpose.